This happens every year when Remembrance Sunday comes around. It is the Great Poppy Debate. First you have the people who watch TV avidly, JUST to berate the newsreaders and presenters who are not wearing one. I assume that Points Of View gets hundreds of letters around about this time of year on this very subject. "People DIED and he/she cannot even be bothered to wear a Poppy?" "How do you forget to wear a Poppy?" "But WHY are they not wearing one?" And my answer to this is. People fought and died so that people could CHOOSE whether to wear one or not. You should not guilt people into wearing Poppies, Poppy wearing is a choice. And just because someone ISN'T wearing one, how do you KNOW that they aren't grateful for all that was done for us? People who choose not to wear Poppies HAVE that right. It is part of what was fought for. But I would never look down upon someone who didn't. And I would hope that someone who chooses not to wear one would not judge my choices either. 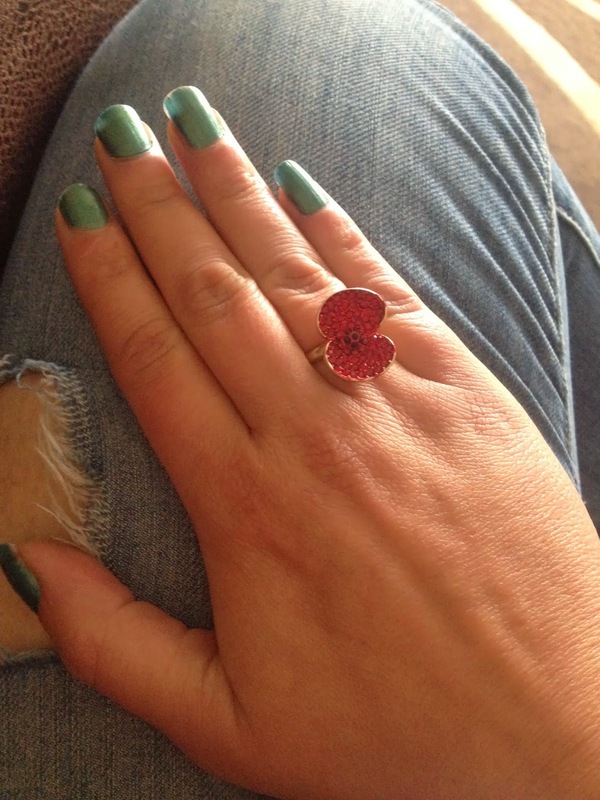 Where do you stand on the Poppy debate? Let me know your reasons. I have just posted a blog about this today! I would say great minds and all that, but we don't know each other!